For women struggling with PMS, one glass a day of this estrogen balancing, progesterone boosting smoothie during the five days leading up to your period can make a huge difference. 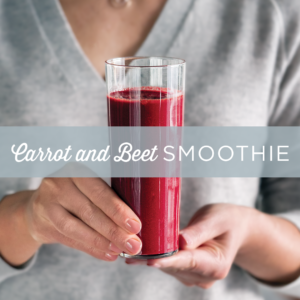 Beets support the liver in estrogen detox, while carrots support progesterone production. Add all of the ingredients to a blender and puree until silky smooth. Discover more delicious, nutrient-dense recipes for hormonal balance in Cooking for Hormone Balance, by Magdalena Wszelaki. 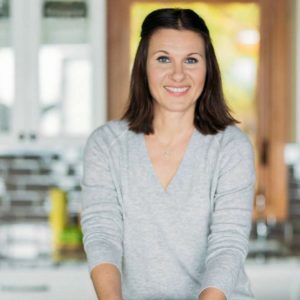 After conventional Western medicine failed to resolve her continuously worsening brain fog, anxiety attacks, fatigue, insomnia, and mood swings, brought on by Hashimoto’s thyroiditis, Magdalena Wszelaki became determined to find a solution. She left her high-pressured career in advertising, moved to the United States, and began studying nutrition. She now runs the popular online community Hormones Balance, and has helped thousands of women struggling with thyroid conditions, Hashimoto’s, adrenal fatigue, menopause, endometriosis, PCOS, menopause, and more reclaim their health.